Fantasy WRC Preview: Snowball Fight! The 2018 WRC season is in full swing and this week we’re off to the land of the ice and snow from the midnight sun where the hot springs flow. It’s time for Rally Sweden. Monte Carlo was a rough event for a number of players, as two of the top picks hit trouble early. Thierry Neuville got stuck on the first stage of the event, losing four minutes and plummeting down the standings, and his teammate Andreas Mikkelsen retired early on the second day for an alternator. The changing conditions had many competitors rising and falling like bitcoin throughout the weekend, but it was Hyundai that fared worst, as their third driver (and another fantasy favorite), Sordo, also hit trouble towards the end of the event, sliding off the road into a tree and retiring. 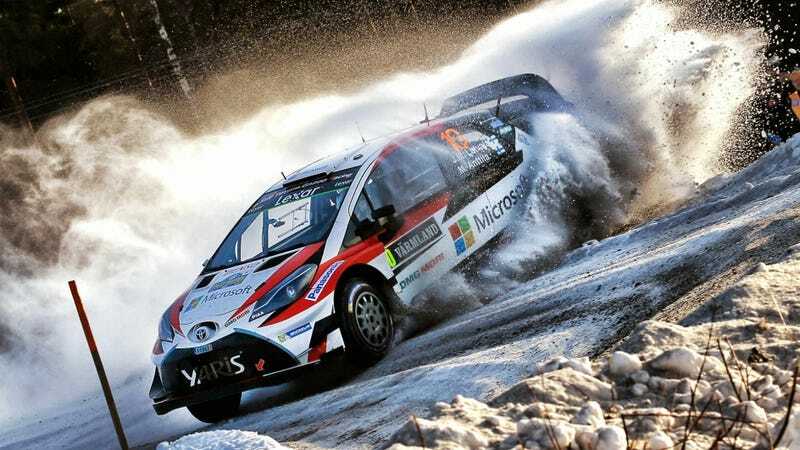 On the other side of things Toyota was dominant, with their three drivers parked second through fourth until the final stage, when Lappi slid off the road and down to seventh place. Ott Tanak put to bed any theories that he’d need time to adjust to the new car, finishing the rally firmly in second. But it was Ogier who was the class of the field, winning the first two stages of the rally and from that point on never having a lead of less than ten seconds. In the fantasy game two players managed to correctly pick the top 5, EarlZ and James Beckett, with EarlZ taking the edge by a point thanks to the power stage. Now it’s on to Sweden, the event that seems to defy physics more than any other. Thanks to special studded tires (and enormous balls) average speeds here are some of the highest of the season, averaging over 71 mph for the event last year. This is a favorite event for most of the competitors, and a number of them have found success here. Ogier and Latvala have three wins each in Sweden, while Mikkelsen, Paddon, Tanak, Ostberg, and Neuville have all finished runner up here (Neuville was also leading last year by 43 seconds before breaking his steering with just three stages to go). Add in the young Finns Esapekka Lappi and Teemu Suninen and there’s no shortage of contenders for this round. But who will avoid getting sucked into a snowbank and outrun the others this time?